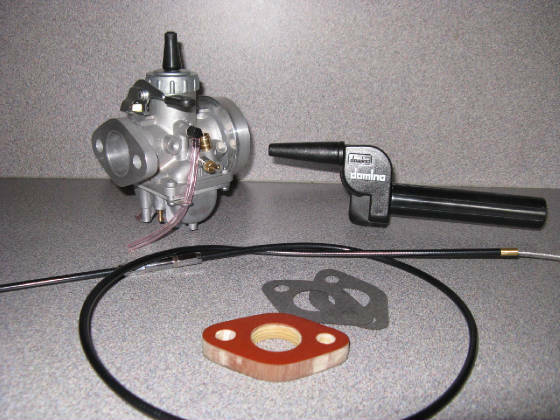 Kit includes a pre-jetted Mikuni carb. Modified by B&J with a flange mount and rear spigot for bolt on fitment. 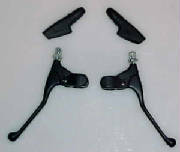 A Domino trials throttle, B&J throttle cable, manifold insulator and gaskets.